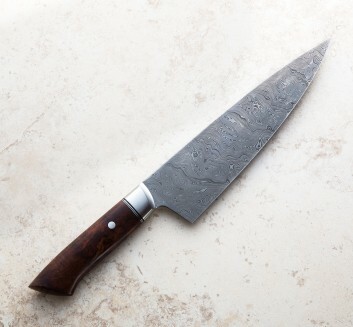 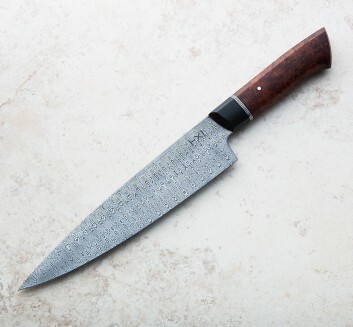 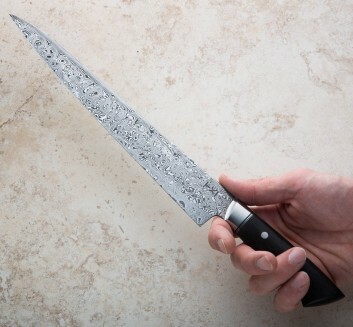 A full-time bladesmith and knifemaker living and working in Copenhagen, Denmark, Steffen Toksvig of TX Knives crafts uniquely designed, function-first chef knives for professional and home chefs. 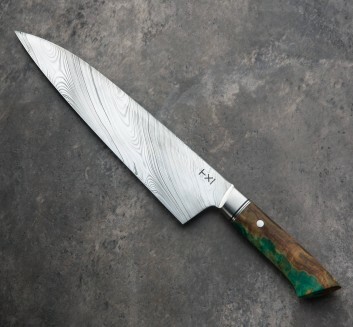 Inspired by both Eastern and Western styles, Steffen often mixes handle and blade profiles to create recognizable knives with a modern bend yet traditional roots. 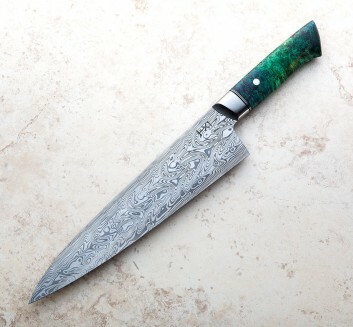 His background as an engineer as well as motion graphics artist shine in his use of colors and materials, flanking stainless bolsters with a variety of spacer materials for example, and combining damascus steel with comfortable, all-business handles.